Assuaging fears that India is set to “impose” an Economic and Technical Cooperation Agreement (ETCA) on Sri Lanka, the Indian High Commissioner in Sri Lanka, Taranjit Singh Sandhu, has said that India is ready to move on the ETCA at a pace Sri Lanka is comfortable with. “The proposed Economic and Technical Cooperation Agreement is in mutual interest. However, I would like to reiterate that we are ready to move at a pace Sri Lanka is comfortable with,” Sandhu said in his address at the Ninth Annual General Meeting of the Indo-Lanka Chamber of Commerce and Industry (ILCCI) on July 6. Delineating Sri Lanka’s gains through economic links with India, the envoy said that Sri Lanka’s share of exports under the 2000 India-Lanka Free Trade Agreement increased from 16% in 2000 to more than 65% in recent years. And the majority of Sri Lanka’s exports to India are through FTA. On the other hand, the share of FTA items in India’s exports to Sri Lanka increased from 9% in 2000 to just 13% in recent years. The majority of India’s exports to Sri Lanka are outside the FTA. The facts and figures show FTA has indeed been beneficial to Sri Lanka, he pointed out. The High Commissioner noted with happiness that the Sri Lankan Airlines is currently the largest foreign carrier to India. India also contributes significantly towards Sri Lankan tourism, with an estimated 400,000 Indians visiting Sri Lanka annually. Sri Lanka has been providing Maintenance Repair and Operations (MRO) services to Indian airline companies. Similarly, Colombo Dockyard has been supplying vessels to India and has also been actively engaged in ship repair business with India. 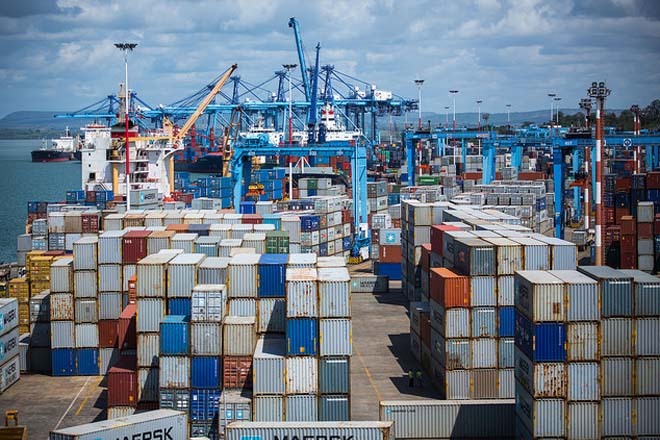 More than 70% of Colombo Port trans-shipment is India-related, an important lifeline for Colombo Port, Sandhu noted, to show that India-Sri Lanka economic relationship is not a one-way street. The chamber could play a key role by disseminating information on investment and trading opportunities, highlighting the positives and also bringing to the High Commission’s notice the negatives so that these could be attended to. “You are not just a collection of Indian and Sri Lankan companies. You are one among those few groups who know India and Sri Lanka equally well. You have seen and experienced both yourselves. I consider your ground knowledge as an important tool to bridge the asymmetry of information,” the envoy said. “If there are positive stories, let the world know. If there are not-so-positive stories and you are in difficulty, let us know. We will be happy to provide all support to resolve it,” he added. Sandhu pointed out that India-Sri Lanka development partnership stands at US $2.6 billion as on date. Sandhu said that India intends to make substantial investments in Sri Lanka in conventional and non-conventional energy in the days ahead. Delineating some of the landmark changes taking place in India, Sandhu referred to the all-India Goods and Services Tax (GST) and said: “Reforms are sweeping across India. The impact of the reforms has made India, a land of limitless possibilities and endless opportunities. India’s growth is not in the interest of India alone, the envoy said.